First, I want to clear up a slight misunderstanding from my last post. I haven't taken up knitting instead of writing. I have taken up knitting to keep my inner fussy editor busy, since it seems to never be content with how much I'm writing. When I'm not writing as much, such as right now when I'm busier with theater, and my writing is more about getting inspired, contemplating edits, research and note-taking, it puts on the shame and guilt of what it means to be "a real writer." 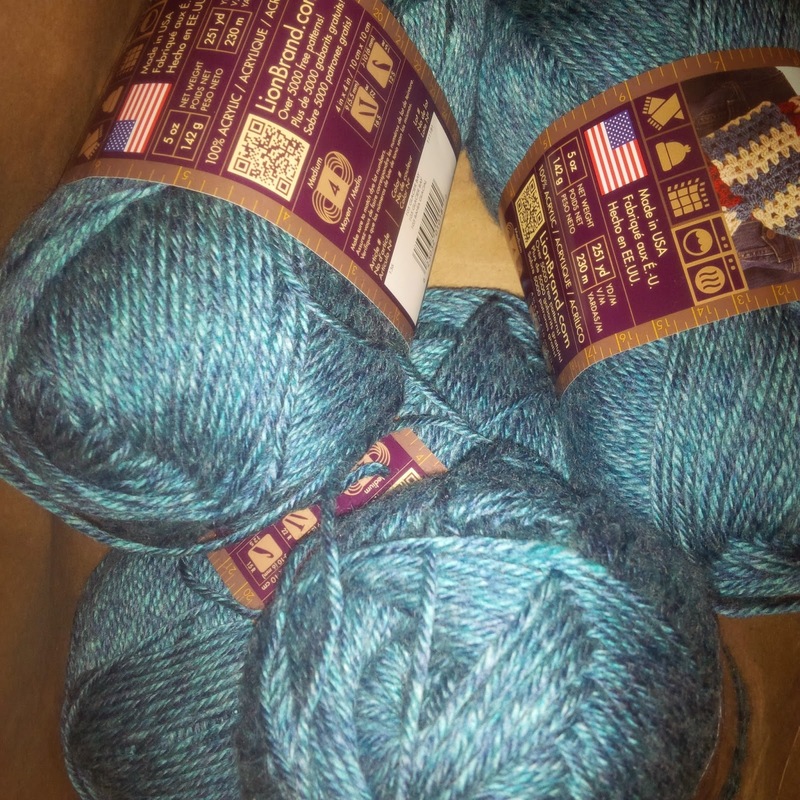 So knitting, while not in any way directly related to writing, does quiet the editor because knitting requires a type of focus, attention to detail, and a measure of precision or at least consistency. I've also returned to knitting to have something tangible and tactile to do with my hands. I've been wanting to return to making pottery for several months. I do have a pottery wheel, though I haven't used it in many years and am not sure it even still works. It was fine last I used it, but it was so long ago that anything could have happened. There is handbuilding, which I also enjoy. I don't have a kiln and I don't have a friend with a kiln. I considered taking a class at Multnomah Art Center again, but the timing doesn't work with my schedule. So I opted for a larger knitting project, which is less messy, easier to pick up and put down, and doesn't require specific timing like a drying pot and firing. And knitting is more portable - though I will see how true that holds when the project starts looking like pieces of a sweater! I am still writing. Not at my ideal pace. Not at my NaNoWriMo pace, for sure. But I am still working on short stories and editing the novel. The novel has been taking a rest for a couple of weeks, although I have been thinking about it, primarily the structure and about the new opening chapter it needs. So I am writing. And I'm knitting. And I'm wading deep into theater. All of this with my regular interpreting work. In 2015 I'm looking forward to more writing time, more writing submissions, and am excited about a new writing group. That writing group had its first meeting in November; we took December off because scheduling would have been too tricky; and we will start up monthly meetings in January. My Tuesday writing jam partner and I have missed several meetups due to illness and work, but we will be starting those up again soon. The Tuesdays (or whatever day we land on if we need to make a temporary adjustment to the day of the week) will definitely be good; I miss those times. I have to accept that sometimes the hustle of December gets in the way. No matter how much I try to avoid the stress and the hype and keep out of the media induced frenzy, the times get complicated and schedules are hard and the energy is buzzing all around. But once we get to the new year, things can level off and I can get into a more regular flow. I hope and I believe I will. That flow includes writing. And maybe I will get this sweater done while it's still winter!